The other day, a girl I regularly see on my commuter train asked me if I was playing Pokemon Go… and when I said I wasn’t, she whipped up her phone and started gushing about how much fun it was, how many Pokemons she’d caught, how the game worked, which Pokemons are which and what they can do, etc, etc. And three others aboard immediately joined the conversation and started sharing. I wouldn’t poke fun at them for playing the game—hey, I sat through a late-night marathon of Dangermouse once—but part of me did think it was funny when she told me she’d never regularly watched the original TV shows, or the movie. Others said the same thing. So it clearly isn’t nostalgia that’s drawing people of every age into this game. What’s going on? Pundits (oh! 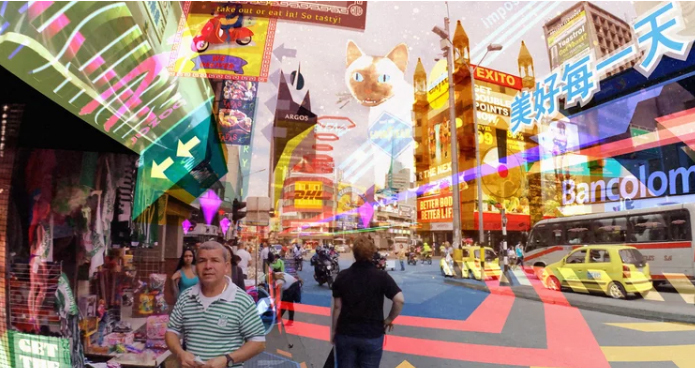 that word) are saying that this is only the first step of creating an augmented reality all around us, that we’ll be able to tap into wherever we are. The phone screen overlays the characters onto your landscape, in real-time, so you can search for and catch characters. What advertisers, marketers and producers are hoping is that eventually you’ll use your phone as a window into that virtual reality to find products and services, see which local restaurant has the best sushi, have passing cars point you to the dealership that sold them, listen to your conversation and tell you which bar is playing the Leeds match, etc, ad nauseam. But—naturally—that’s not all. The game also taps into your data, collecting info on where you are, where you’re going, who you’re seeing, what you’re buying and how you’re doing it. If you sign into the game using your Google account, the game collects all of your friends’ email addresses. At which point, they can not only send marketing emails directly to you, but keep track of your friends and email them too. And speaking of data… that game uses a lot of it. Expect your data plan costs to go up, while databases somewhere fill up with more of your comings, goings, buyings, searches and private trivia. So here’s the thing: When Google Glass came out, people immediately objected to the idea that they were being tracked by some unseen corporation, disseminating their info and contacts, collecting data in order to target marketing at them. What this game is doing is exactly the same thing… but because the game is fun, whayl, shure, you go on ahead and do all that stuff. 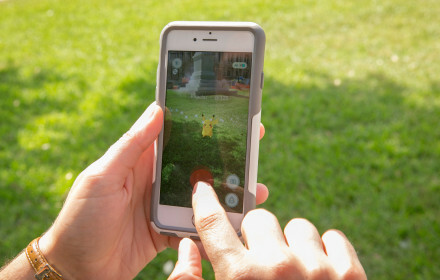 That makes Pokemon Go the Holy Grail of online marketers and sellers: The thing that makes you want to do all the things they want you to do, whether you want to or not. Or think of it as the bread and circuses being fed to you while your life is being manipulated behind the scenes (and often under your noses). However you think of it, the marketers are getting what they want. You’re getting a game that won’t give you anything if you win, but will always find new ways of parting you from your cash. And if those (oh!) pundits are right, this will be the first salvo in getting the rest of us into that augmented reality. All it will take, apparently, is something that tickles our fancy just enough to cause us to immerse ourselves in it. Who knows what the next such app could take the form of… trivia clues leading to great restaurants? Passerby fashion rankings? Singles pinpointers? (Oh wait… I think that one exists…) Maps of celebrity sightings and visitations? Simulated X-Ray vision of peoples’ underwear? Floating icons showing peoples’ most intimate (and badly-kept) secrets? Whatever it is, expect it to be pitched at you sometime soon; and if the marketers know what they’re doing, eventually they’ll catch us all. Next Next post: Why don’t we care?